The Azerbaijan Tourism Association (AzTA) and the Uzbek Tourism Training and Consulting Center will jointly prepare tourist guides with international status, the Association told Trend. The AzTA and the Uzbek Tourism Training and Consulting Center agreed to train professional guides with international status in both countries. This agreement was reached during the meeting of Chairman of the Association Nakhid Bagirov with the delegation of the aforementioned center headed by Elena Golysheva. The visit of the Uzbek delegation to Azerbaijan was aimed at the mutual exchange of information, the achievement of mutual understanding in the methodology of trainings held in the two countries for the preparation of guides, programs and timetables for conducting training courses in both countries, as well as an agreement on joint trainings. In 2018, 2.849 million people from 196 countries arrived in Azerbaijan, or 5.7 percent more foreigners and stateless persons compared to last year, according to the State Statistics Committee of Azerbaijan. According to the committee, 30.9 percent came from Russia, 21.4 percent from Georgia, 10.2 percent from Turkey, 8.5 percent from Iran, 3.3 percent from the UAE, 2.6 percent from Saudi Arabia, 2.4 percent from Iraq, 2 percent from Ukraine, 1.4 percent from Israel, 17.2 percent from other countries, while 0.1 percent of the tourists were stateless persons. In 2018, there was a significant increase in the number of visitors from the Gulf countries (excluding the UAE and Iran). The largest increase in the number of foreigners arriving in Azerbaijan in January this year was recorded from Pakistan, India, Kazakhstan and Turkmenistan. 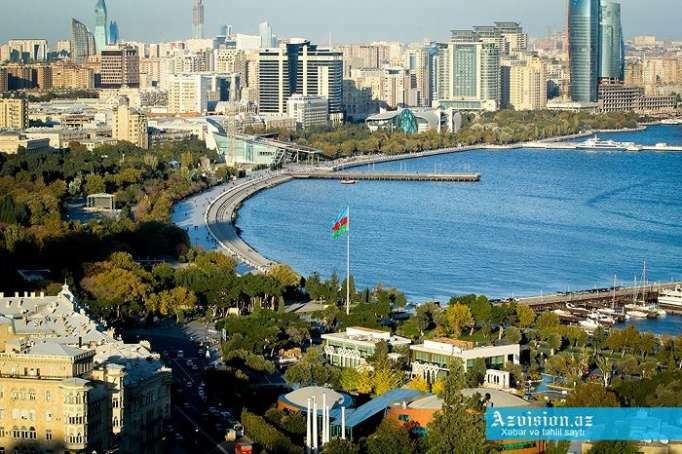 According to the State Tourism Agency, in January 2019, 191,400 foreigners arrived in Azerbaijan. This is by 5,000 people or 3 percent more than in the same period last year. The greatest increase in foreign tourists is observed among those arriving from Georgia with a 22 percent growth. Other markets where significant growth was achieved are South Asia and Central Asia. The number of tourists from these regions increased by 60.9 percent and 35.4 percent, respectively. The highest growth rates from South Asia were recorded in Pakistan and India, and from Central Asia in Kazakhstan and Turkmenistan. More than 2,000 foreign citizens arrived in Azerbaijan from each of these countries in January.